Real estate ETFs (Exchange Traded Funds) are investing mainly in real estate companies including REITs (Real Estate Investment Trusts). These stock ETFs may provide high yield of income for investors. 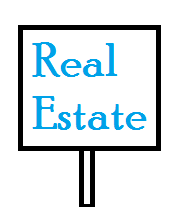 Real estate funds use their assets to purchase real estate investment trusts (REITs), which invest in and own commercial real estate properties. Generally, a REIT offers a high yield because it's required to distribute a large amount of its taxable income to its shareholders in the form of a dividend. These top real estate ETFs in 2014 are sorted based on its year to date performance in 2014. You can find the fund details and review below. Some of these ETFs can be bought for free from variety of brokerages such as Fidelity, Schwab, TD Ameritrade, and Vanguard. This best real estate ETF 2014 has total net assets of $3.1 billion. Its inception date is January 29, 2001. This iShares Cohen & Steers REIT ETF uses its assets to buy U.S. real estate investment trusts (REITs). Its net expense ratio fee is 0.35%. The share price is $89.95. The dividend yield is 3.02%. Morningstar has ranked this REIT ETF with 2 stars rating. In 2014, the year-to-date return is 22.24%. It has returned 15.16% over the past 3 years, and 18.53% over the past 5 years. Top 4 stocks in its portfolio are Simon Property Group REIT Inc (SPG), Public Storage REIT (PSA), Equity Residential REIT (EQR), and Prologis REIT Inc (PLD). Ranked with 3 stars rating by Morningstar, this Schwab US REIT ETF has an annualized return of 22.58%. The expense fee is only 0.07%. The current 12 month yield is 2.31%. This top REIT ETF is tracking the total return of the Dow Jones U.S. Select REIT Index. There are 93 holdings in its portfolio now. Top 4 sectors are Retail REITs, Residential REITs, and Office REITs, and Healthcare REITs. Top 3 equities are Simon Property Group REIT Inc (SPG), Public Storage REIT (PSA), and Equity Residential REIT (EQR). As one of best real estate ETFs 2014, SPDR Dow Jones REIT ETF has a dividend yield of 3.03%. This stock ETF has $2.74 billion of assets. The expense ratio fee is 0.25%. This index ETF has a 3 year average return of 16.48%. Morningstar has ranked this Vanguard REIT ETF with 4 stars rating. As one of the best real estate ETFs 2014, it has returned 22.60% over the past 1 year. It has assets of $24.8 billion. The expense fee is 0.10%.